A devastating water and food shortage is putting more than 26 million children in danger in east and southern Africa. 1.2 million children face severe malnutrition. Children and families are experiencing severe food and water shortages across the whole of east and southern Africa. Ethiopia is facing its worst drought in 50 years, while southern Africa is having one of the driest seasons in more than 35 years. Without enough food and clean water, children’s lives are in extreme danger. How are children affected by the crisis? 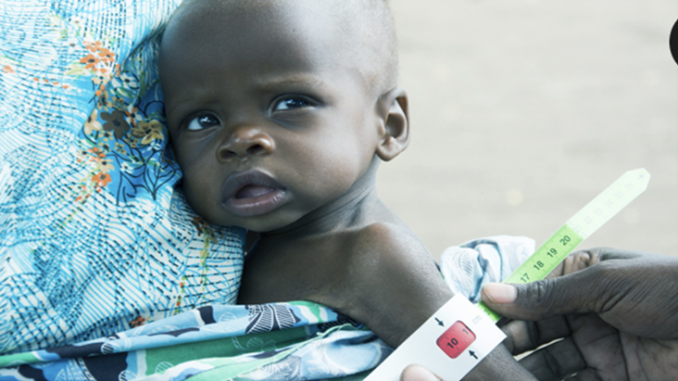 Right now, millions of children are facing desperate hunger, disease and lack of clean water. These children also face reduced access to education and increased threats of violence and abuse as families’ lives and livelihoods are put under such strain. The lack of rain and extreme temperatures have made crops fail and livestock die, causing the price of food to rise across the region, leading families to skip meals, pull their children out of school to help with family income, and sell- off valuable assets just to put food on the table. While this may ensure their survival today, in the long term it reduces families’ resilience to drought and other threats. Edesi, a cotton farmer from Malawi, is struggling to survive and feed her five children and seven-month-old nephew, Regison. Since Regison’s health deteriorated, Edesi’s been taking him to a health centre to be treated for severe acute malnutrition. No child should have to suffer like this. We must act now to deliver urgent humanitarian assistance to children and families in affected areas. Unicef is working with Governments and partners across east and southern Africa to reduce the impact of the drought on children’s nutrition, health, wellbeing and education and to provide life-saving humanitarian assistance. In Malawi alone, Unicef are providing life-saving food for 34,000 severely malnourished children. But with so many more children across the region at risk during this drought, we need more support to reach not just those in Malawi, but all across east and southern Africa.